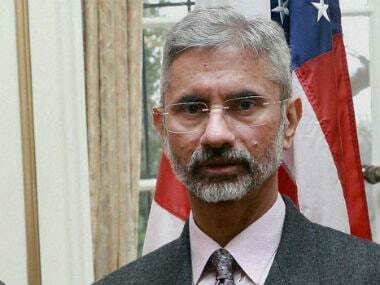 Mumbai: Former Indian foreign secretary S. Jaishankar has apparently been given a waiver from the "cooling off period" for bureaucrats, as Tatas have announced his appointment as their Groups President of Global Corporate Affairs. Announcing the appointment, Tata Sons said Jaishankar will report to N Chandrasekaran, executive chairman of Tata Sons in his new role. 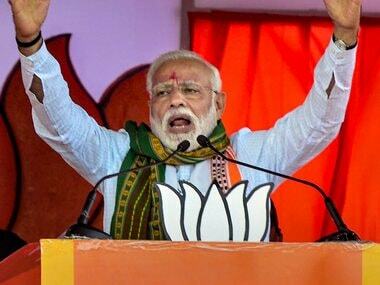 Last week, IANS had reported that Jaishankar, who retired on 28 January this year, had written to Prime Minister Narendra Modi for a waiver of the "cooling-off period" for bureaucrats as he had been offered a position by the Tatas. In his new role, Jaishankar will be responsible for the Tata group's global corporate affairs and international strategy development and Tata Sons' international offices will report to him, according to a statement issued by Tata Sons. "Jaishankar will work with Tata Companies to help them strengthen their business presence and positioning in their respective geographies globally," the statement said. "I am delighted to welcome Dr Jaishankar to the Tata Group. His extensive experience and knowledge on international affairs will be very valuable to the group as we work to reinforce our brand and leadership globally," said Chandrasekaran. "The Tata Group is an iconic institution known for its value-based leadership as well as India's most respected brand globally. 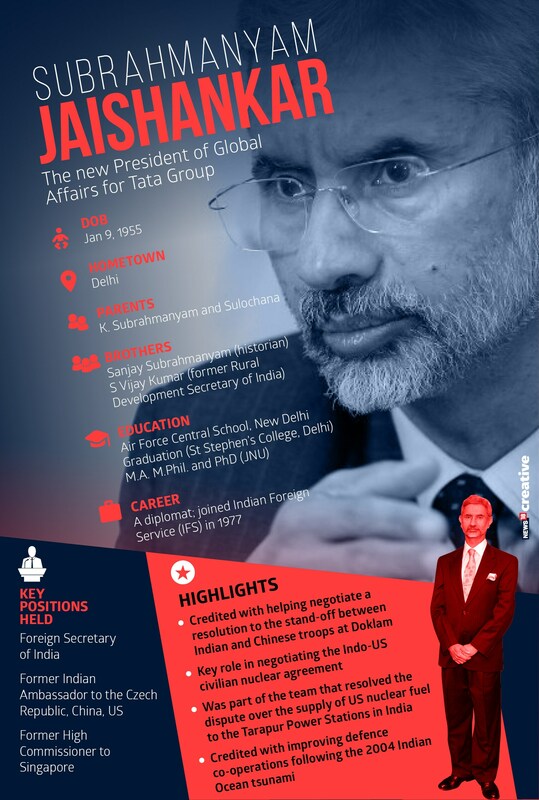 I look forward to being part of the Tata group and working with key stakeholders to make an impact," said Jaishankar. 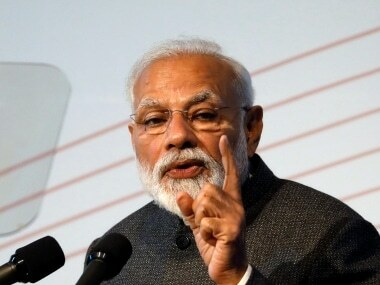 Officers of Group "A" Central Civil Services/Posts and All India Services have to seek permission from the government for post-retirment commercial employment if it is to be taken up within one year of leaving office. The "cooling-off period" was reduced from two years in December 2015. The Indian foreign secretary from January 2015 to January 2018, Jaishankar joined the Indian Foreign Service in 1977 holding key roles during his career including stints as High Commissioner to Singapore, Ambassador to China and the United States. 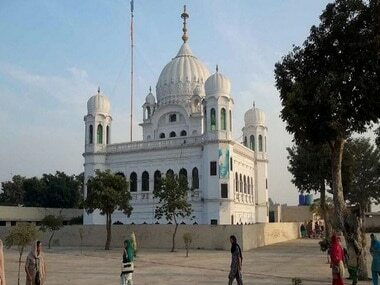 He also played a key role in negotiating the Indo-US civilian nuclear agreement. The highly-regarded career diplomat was said to have enjoyed the prime minister's trust during his term in South Block as also a good working relationship with External Affairs Minister Sushma Swaraj. 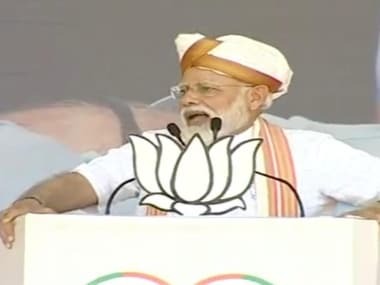 He is also largely credited with helping negotiate a peaceful resolution to the stand-off between Indian and Chinese troops at Doklam last year. Jaishankar is a graduate of St Stephen's College at the University of Delhi. He has an MA in Political Science and an MPhil. and PhD in International Relations from Jawaharlal Nehru University.